Are you familiar with the Jessica Chambers case? Oxygen just announced their new TV show, Unspeakable Crime, will explore the teen’s mysterious murder. Unspeakable Crime premieres on Oxygen on September 15th at 7 p.m. ET/PT. The investigation of Chambers’ murder reveals this small-town cheerleader was a good girl with many secrets. However, the search for justice takes a turn when the authorities charge Tellis, who fiercely maintains his innocence, causing racial tensions to escalate in this rural community that’s suddenly thrust into the national spotlight. The series documents the shocking jury decision of Tellis’ trial earlier this year, and what lies ahead for the Tellis and Chambers families in the upcoming re-trial. In addition, “Unspeakable Crime: The Killing of Jessica Chambers,” unfolds one of the most talked-about cases on the internet with unprecedented access to Chamber’s family members, including her parents, Lisa Daugherty and Ben Chambers; Tellis’ mother, Rebecca Tellis, and sister, Laqunta Tellis; the first responders who may have heard Chambers utter her killer’s name; BuzzFeed News’ Baker, who reported Jessica Chambers’ story and the frenzy behind an army of online armchair detectives trying to help find her killer; local journalist Therese Apel; and legal analyst Beth Karas, who has covered the case and trial extensively. But one question remains unanswered: Is the right man on trial – or is a murderer on the loose? Saturday, September 15 at 7PM: Who Killed Jessica Chambers? As the trial unfolds, shocking testimony from first responders reveals that Jessica uttered a dying declaration that may spawn new leads. Saturday, September 29 at 7PM: An Issue of Black and White? As the defense continues to poke holes in the prosecution’s theory, many wonder if the right man is on trial, all while racial tensions in the town are thrust into the national spotlight. The prosecution presents its star witnesses and includes intense interrogation tapes and complex cell phone data that give the trial an unexpected turn. The jurors hear closing arguments, and as deliberations begin, the judge’s instructions appear to confuse the jury and create total chaos in the courtroom. What do you think? Are you a fan of true crime docs? Will you watch Unspeakable Crime? 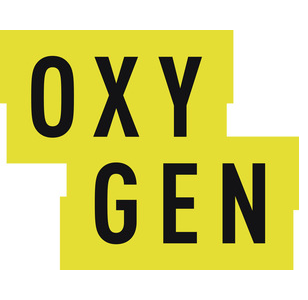 More about: Oxygen TV Shows: canceled or renewed?, Unspeakable Crime, Unspeakable Crime: canceled or renewed?